Dogs have traditionally assisted humans and their supportive roles continue to evolve and diversify. There are now courtroom facility dogs (Kaiser 2015) and even funeral therapy dogs, offering ‘love and support to the bereaved’ (Snead, 2018). More than half of Canadian universities implement dog therapies during examination periods as a means of reducing stress (Dell, et al., 2015). We are beginning to see this strategy introduced to UK universities. In 2018, the University of Birmingham’s School of Education offered dog therapy to their alumni teachers as a possible remedy for alleviating stress. 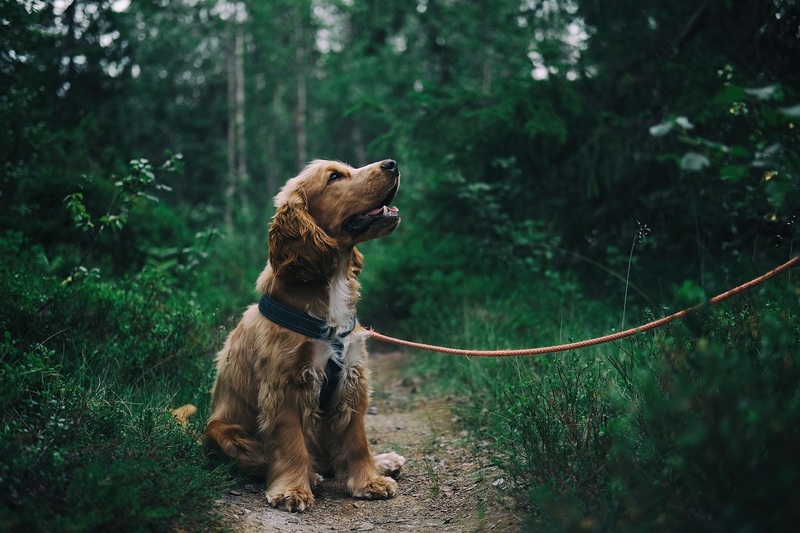 Very recent press articles from the BBC and the Times, published in March 2019, point to a growing number of dogs working in school contexts to support wellbeing. This is where my particular research interest lies. I have recently completed my doctoral study, investigating the role of school dogs in primary schools. I first encountered a school dog during a visit to a primary school. Pongo was a labradoodle, larger than many of the children, and staff at the school spoke enthusiastically about the benefits of having a school dog. Intrigued by this seemingly rare, rather secretive and unexplored phenomenon, I set about researching school dogs, keen to discover their function in schools. • Dogs can have a significant role in the safeguarding process, by facilitating disclosure involving vulnerable children. As one teacher told me: “Children drop their guard and they tell him [the dog] things that they would never tell us or another grown up”. This resonates with the pioneering work of Boris Levinson, considered by many to be the founding father of modern canine-assisted therapy. Levinson discovered that the presence of his dog, Jangles, had a positive impact upon his young patients by facilitating a less stressful, more informal therapeutic setting, conducive to greater self-disclosure and enhanced treatment outcomes (Levinson, 1969). My findings indicate that school dogs can indeed play an important role in supporting wellbeing. They also have a wider sphere of influence, operating largely within the six key principles of nurture (Lucas, Insley and Buckland, 2006) by supporting aspects of development, language, behaviour, safety and transition, as well as wellbeing. For those who are amenable to their charms, school dogs can provoke a very positive response from both staff and students. However, schools must be aware that dogs are not a solution for all, as ‘not everyone is equally susceptible to the charms of pets. Many people are indifferent to them and others find them repellent.’ (Bradshaw, 2017, p.17). Those who are terrified of dogs or whose cultural background precludes dogs entirely would certainly not benefit from the presence of a dog in their school. Nonetheless, the founder of the website Dogs Helping Kids, states that ‘in the past two or three years the idea of school dogs in schools has exploded in a really big way… there must be hundreds and hundreds of dogs in schools now across the country’ (Pidd, 2017, para. 7). The Department for Education (DfE) is beginning to recognise their presence and so it is probably time to officially audit school dog numbers and to formulate much needed nationally agreed guidance and legislation. With the Office of National Statistics reporting a growing mental health crisis amongst UK children and suggesting that 1 in 10 children are unhappy at school (ONS, 2015), perhaps the growing numbers of school dogs can play a small, but important role in helping to address such pressing concerns of childhood. Bradshaw, J. (2017) The Animals Among Us: The new science of anthrozoology. UK: Penguin. Dell, C., Chalmers, D., Gillect, J., Rohr, B., Nickel, C., Campbell, L., and Brydges, M. (2015) PAWSing Student Stress: A pilot evaluation study of the St. John Ambulance therapy dog program on three university campuses in Canada. Canadian Journal of Counselling & Psychotherapy, 49 (4) pp. 332-359. Kaiser, M. (2015) Sit, stay, now beg for me: A look at the courthouse dogs program and the legal standard Pennsylvania should use to determine whether a dog can accompany a child on the witness stand. Villanova Law Review, 60, pp. 343-382. Levinson, B. (1969) Pet-Oriented Child Psychotherapy. Springfield, IL: Charles C Thomas. Lucas, S., Insley, K. and Buckland, G. (2006) Nurture Group Principles and Curriculum Guidelines Helping Children to Achieve. London: The Nurture Group Network. ONS (2015) Insights into children’s mental health and wellbeing. Pidd, H. (2017) Please, Sir – sit! The tale of a learning support dog. The Guardian, 28 March. [Accessed 20.4.18]. Snead, F. (2018) Basil the beagle: the funeral therapy dog who helps the bereaved. iNews 15 Feb. [Accessed 23.2.18]. Next Next post: How to bridge the gap between theory, research and what’s unravelling in the everyday life of individuals with autism?